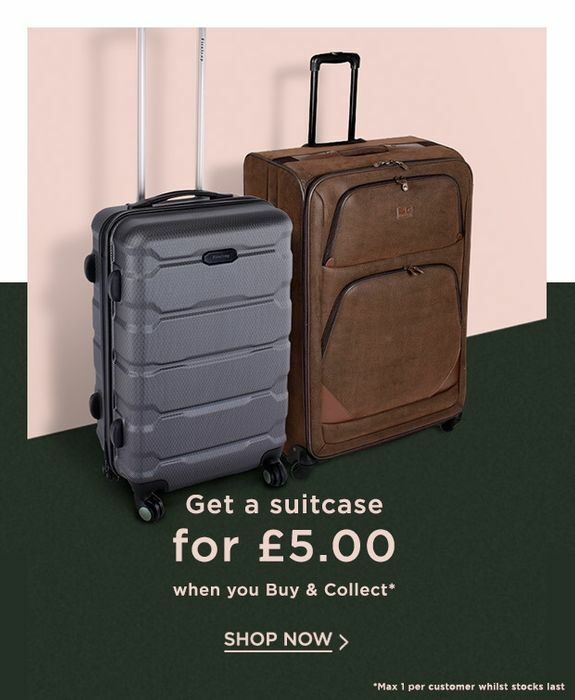 House of Fraser - £5 Suitcase! House of Fraser £5 bag. Limited to one per person but plenty of options available. AnnaFlanagan £10 is still good value. That's a great offer. They have really nice ones too. I got the 2.99 one a while ago. But these looks nicer. You need to pay 4.99 for click and collect but they give you a 5 pound voucher when you get the bag. Fab deal. Wish there was a HoF near me! All gone now. I missed it. In last glitch I got a cabin luggage for £2 and it is good. Slazenger one seems to be still available. Too small for me though. Fab deal. They‘re all out of stock, but the previous £2 ones went in and out of stock countless times over 2 days. So anyone who wants them, just keep checking a few hours later, they should be back in stock. very good deal! however check it the HOF near us no more stocks missed it! This is such a great offer, thanks so much for sharing! The closest to me is in Central London! Such a shame! But thanks! Tbf though if you stick to purchasing something worth £5 you get your £5 back. I also hate shops charging for click and collect. Oh well, thanks for this post though, great deal! Amazing price perfect for a winter getaways to the alps this December. Will buy some cheers! Shame he is introducing his Sports Direct tat in what used to be a quality department store. I think it’s awful that click and collect is being charged that’s the whole reason of click and collect not to pay a delivery charge! And trying to smooth it over with a free £5 to spend in store it’s ridicoulous! Not an amazing deal in fairness. The £5 bag itself is less than £10 RRP. The photo is very misleading. I’m still waiting for confirmation to collect. Have you or anyone picked there’s up yet?